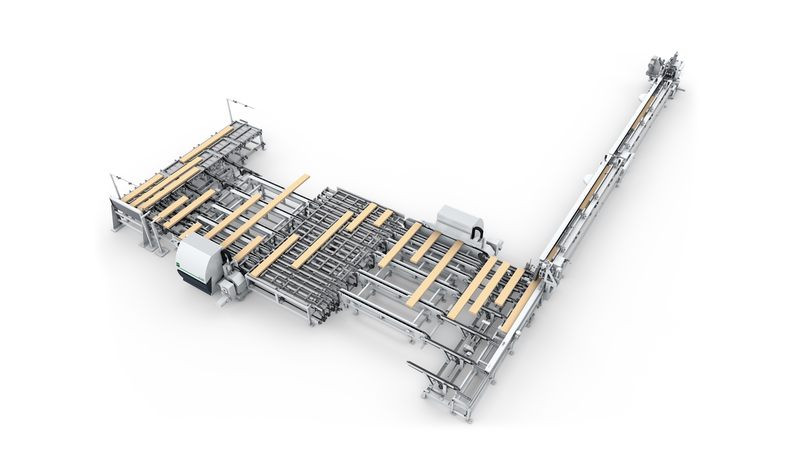 The horizontal single timber shapers from WEINIG are the fastest in the world. Continuous throughfeed of up to 200 parts per minute and 12 press cycles per minute make this system a production giant. High-performance components such as fully-automatic feeding and front end control can also be integrated. Wood that does not meet specific quality criteria can be excluded from further processing without being glued. Tool systems with varying diameters of 228.6 to 266.7 mm or 9 to 10 ½ inches can be run.